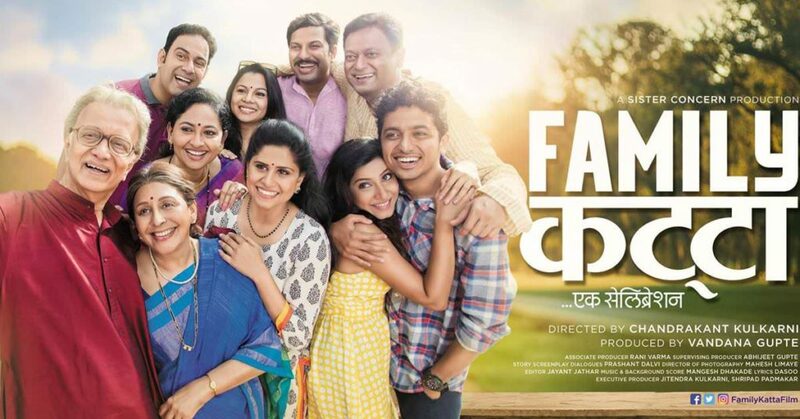 Family Katta Review: Beautiful, To The Point & the need of this hour! 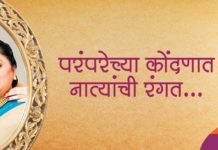 Long back Maharashtra’s greatest playwright Vijay Tendulkar wrote an unusually simplistic play, “Madhlya Bhinti”. Simplistic because it was nothing like his other works. There were hardly any metaphors or something offensively violent for which he was known. Even in the sense of realism the play didn’t have much to offer. Though what it offered was a voice to the usual awkward silences. These silences can creep into any random middle class (& upper middle) family. People living in the same house hardly speak their hearts out. But a play is the correct medium for this outlet. Technically a film might not be the suitable medium for such an outburst. Family Katta is a remake of ‘Celebration” (a Marathi play by the same team) & it’s a welcome exception. The characters speak their heart out without sounding loud or animated. No they are not bombarding melodramatic monologues or glorifying the traditional concept of a big happy family. Instead their outburst appears completely genuine & non-theatrical. So in Family Katta the whole family isn’t living together & doesn’t even consider doing so at any point, which is appreciable & path-breaking to much extent. Vandana Gupte & Dilip Prabhawalkar play the elderly couple (Mr. & Mrs. Sabnis) who are the central characters of this film. 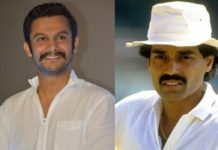 Their three sons (Kiran Karmarkar, Sanjay Khapre & Sachin Deshpande) are living in different cities & their grand kids (Alok Rajwade & Gauri Nalawade) too are well-settled in their respective careers. 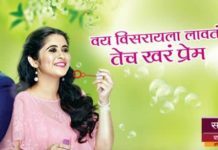 The fourth child, Manju (Sai Tamhankar) is somewhat disconnected from the family as she ran away with her lover during her college days. Manju is particularly a father’s daughter & her father was the hero of her life. This additional info has a unique context in the film& works pretty well. Manju has been forgiven by her mother but not by her father. Alike last year’s Rajwade & Sons, Family Katta too uses the third generation as an ideal model for the generation that went wrong, the middle one (the four children). Though it’s pretty much debatable that no matter what it’s always the middle generation that’ll take all the beating (that’s what Rajwade & Sons stressed on & Family Katta didn’t). Sadly none of the two films ever propagated that this whole process is a cycle & will keep repeating itself till the end of time. However Family Katta stresses on more simplistic topics & succeeds in propagating them efficiently. The first half focuses on the little treasures of human life. Those we all have an easy access to yet we all take them for granted. Even our quarrels are most of the times on so little issues. The first half is filled with many such minute moments & its positivity reaches the audiences. The second half has a potential satirical tone to it but it wasn’t explored much. It might be a conscious decision by the makers to not go that way. But the path they chose still help them in reaching the desired destination. After Dusri Goshta it’s good to see Chandrakant Kulkarni getting over his political hangover. 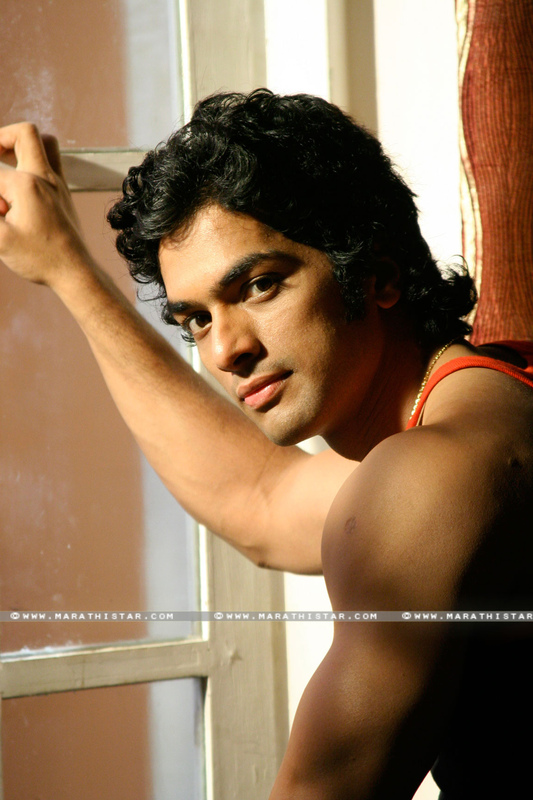 We now expect many such genres to be explored by him on the silver screen. Vandana Gupte has given her most smashing performance on the big screen. 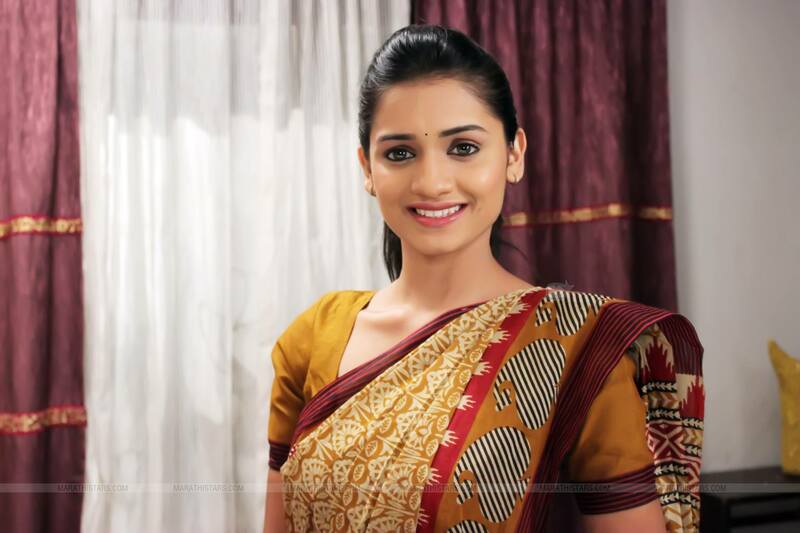 If she was exceptional in Double Seat & Maatichya Chuli, here she is unmatchable! Dilip Prabhawalkar as usual gives a refreshing performance & doesn’t remind us of any of his previous roles. Among the rest of the cast the two animated daughter-in-laws (Pratiksha Lonkar & Sulekha Talwalkar) have the most obvious cliché characters, yet they generate humour. 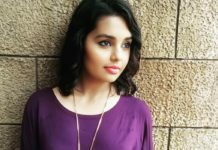 Pratiksha Lonkar doesn’t really have a history of playing such characters before& it becomes quite evident but Sulekha Talwalkar is smooth in her antics! 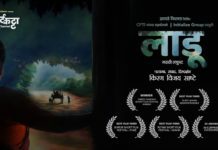 Family Katta can be straight forwardly slotted into the A-list category of Marathi films but somewhere we feel what if the film was a little more ambitious towards defining the meaning of life in its own way through the humans it had in it, just a little more? Family Katta is the need of this hour, predominantly because we (Indian film viewers) deserve the right family film which is not bounded by age old ideas of how an Indian family lives happily ever after. Yet what it propagates is that even with our differences & personal spaces we should still manage to be connected to each other & react sensitively towards each other as for the long time the big differences become irrelevant & what stays are those little treasures! Previous articleVazandar Trailer: The Heavy Weight Entertainer of the Year! Next articleJaundya Na Balasaheb Review: Might Work As A Mass Entertainer!